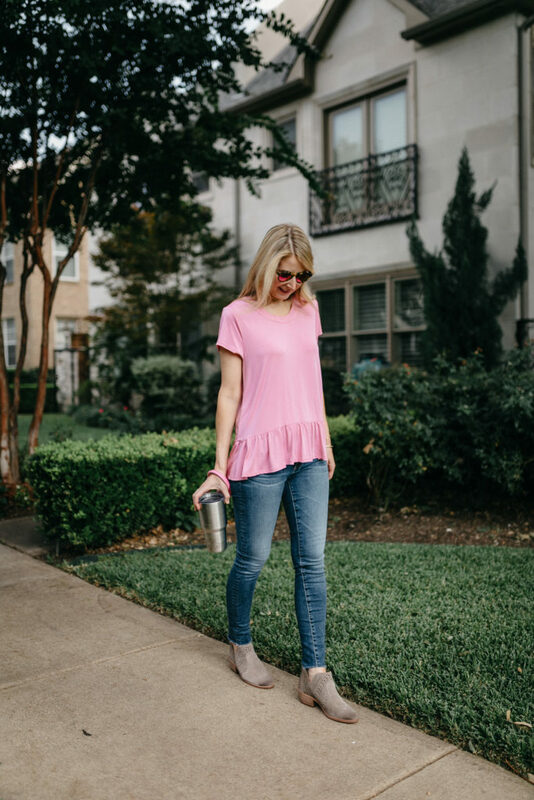 I love a good high-low shirt and this one from Nordstrom is the perfect one to add to my fall wardrobe for an easy everyday outfit. 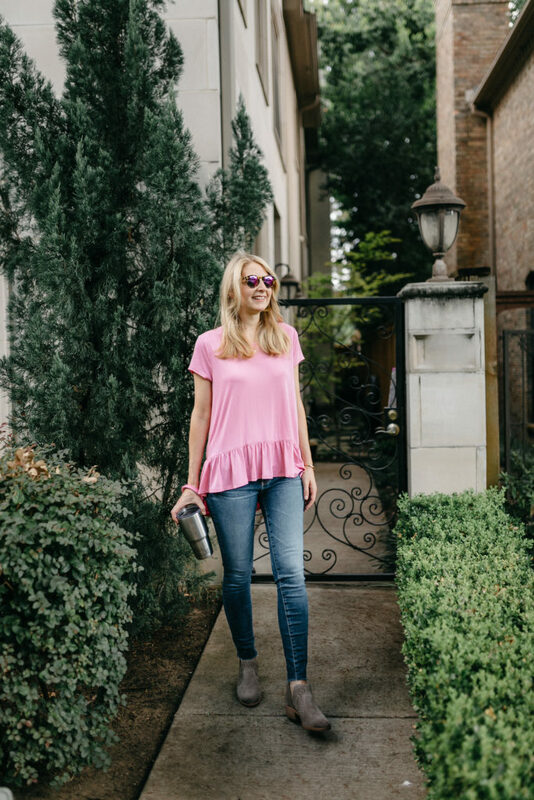 Plus, I’m sharing a few high-quality t-shirt bras that are worth the investment, including the nursing bra I recently bought. 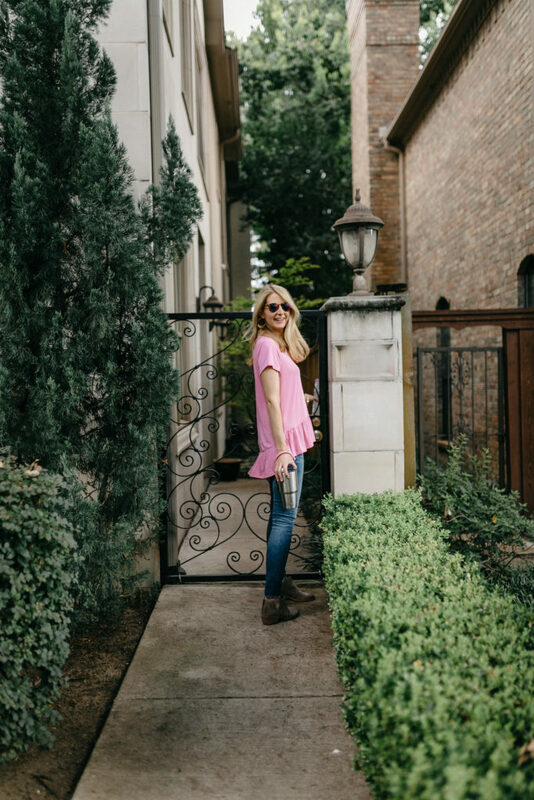 Every season I add a few tops and tees to my wardrobe that can be dressed up or down. 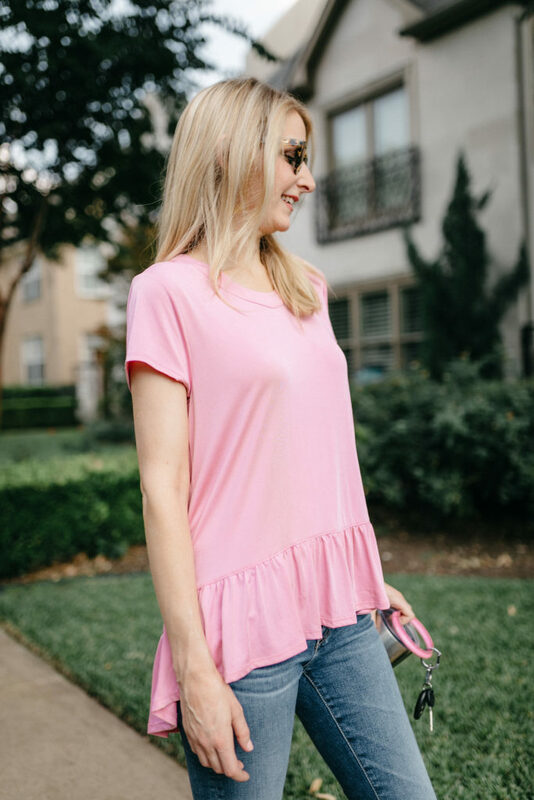 This ruffle hem tee I found online at Nordstrom was a no brainer for a simple weekday outfit for a busy mom like me. 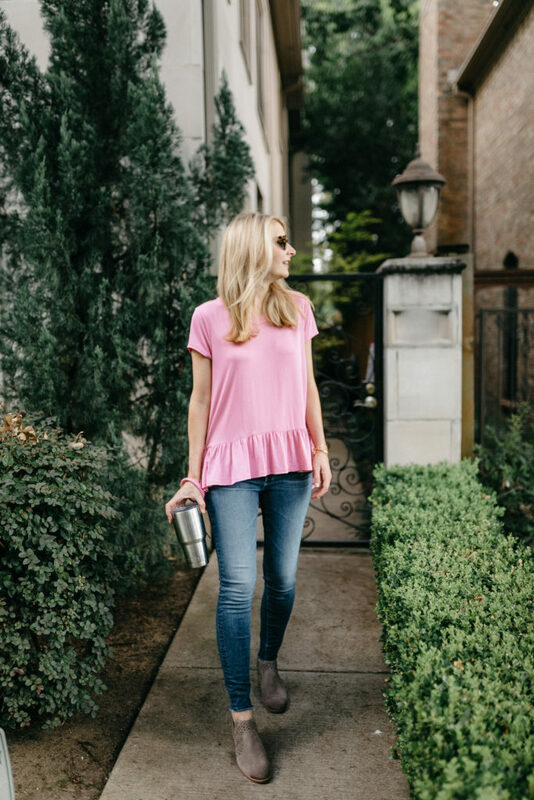 The material is much nicer than your average “tee.” You can wear it with your favorite booties, flats, or trendy sneakers. 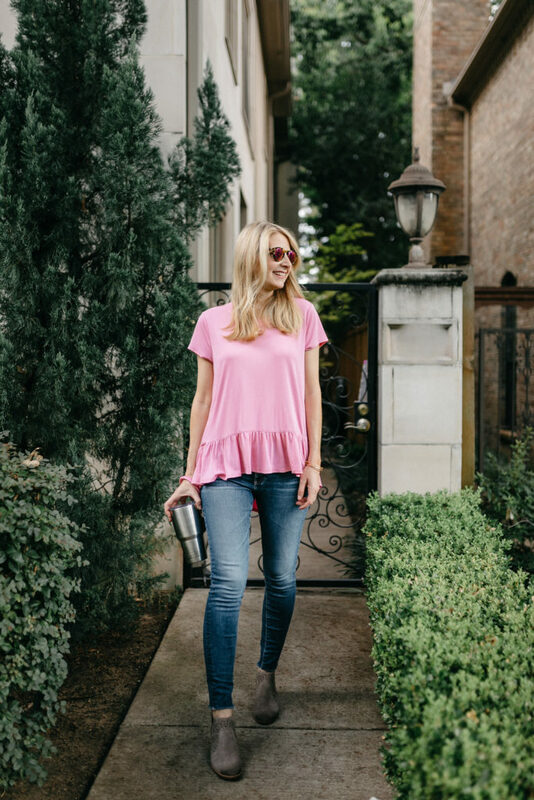 This high-low top comes in four colors, including black and the olive color I am seeing everywhere this fall. 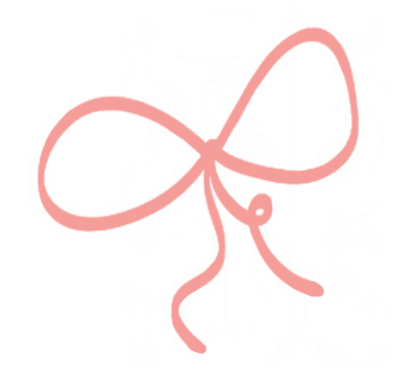 Update: My pink color is back in stock and on sale! For size reference, I am wearing a small. 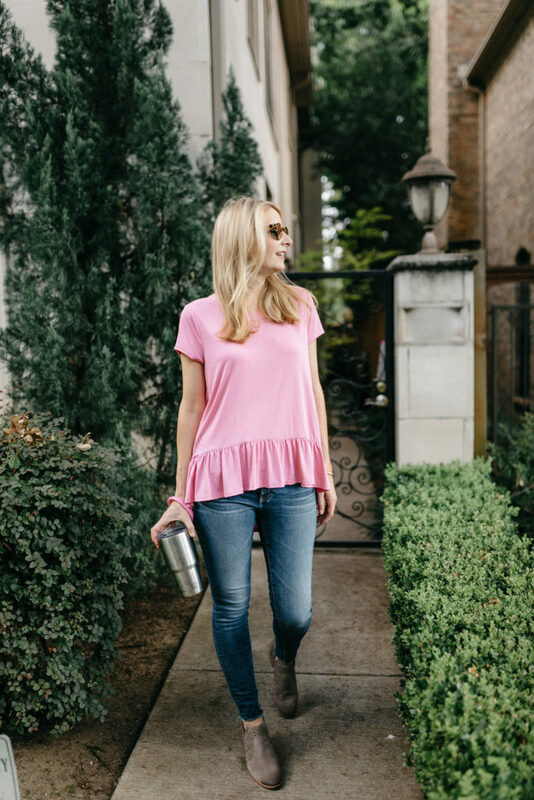 Note: the super soft, jersey material on this top really requires a t-shirt bra so it doesn’t show lines. I am currently nursing so I am wearing this high-quality underwire nursing bra that the really helpful Nordstrom sales associate introduced me to a few weeks ago. It’s pricey, but since I hope to nurse for a long time I think it’s worth it to have 1-2 nicer bras along with some less expensive ones. Did anyone else get these cute booties in the Nordstrom Anniversary Sale?! They are so fun to wear and go with so much. 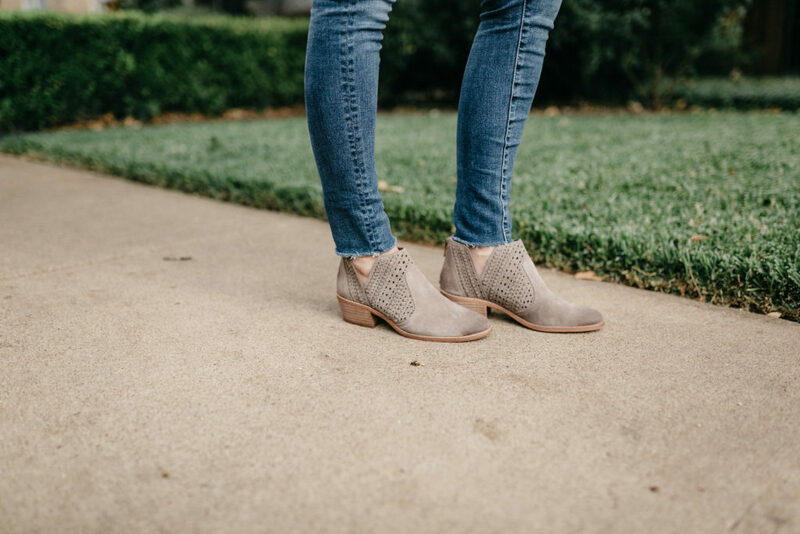 My go to bootie this fall! 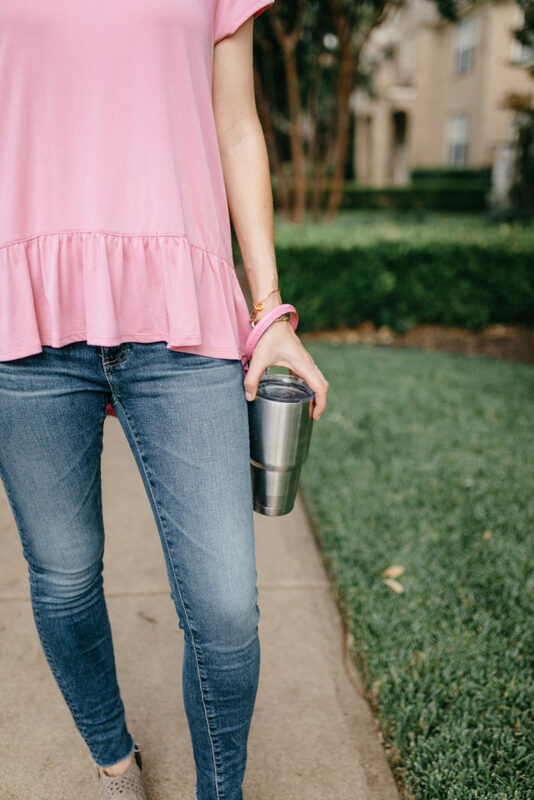 They come in three colors and fit true to size. Thank you so much to Nordstrom for sponsoring this post. All outfits are styled by me and opinions are my own. Did you go to Nordstrom at Northpark to get nursing bras? I had such an awful time with nursing bras my first time so I wanted to try something different this time around. It’s really hard to find nursing bras that fit right, are comfortable and functional, and look good under normal clothes, which is obviously important (especially when I go back to work). I don’t mind spending $$ if they meet those criteria! Congrats on sweet baby Louise, hope she gets to join you guys at home soon. Yes! I went to Northpark. They have a consistent staff in that department who know what they are doing. And they will recommend bras just for your cup size and body type. I was like two sizes ahead of what I thought I was;).